Apple Smoked Cheddar Cheese made by Carr Valley Cheese Company is a white cheddar that is apple smoked and then hand rubbed with paprika. 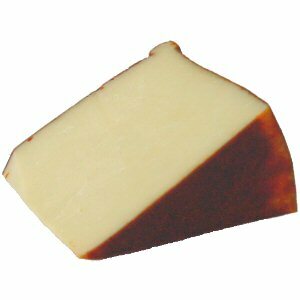 This artisanal, all natural gourmet cheese has a light smoky flavor that balances very well with the paprika. 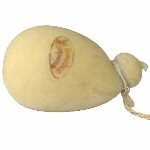 Carr Valley's Apple Smoked Cheddar Cheese won a first place at the 2005 American Cheese Society in its category and a third place at the 2006 World Cheese Competition. 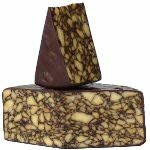 Furthermore a 3rd Place at the 2006 and a second place in the Smoked Cheddars Category at the 2009 American Cheese Society Competition. We cut and wrap this American gourmet cheese in wedges of 8 ounces and 1 pound.